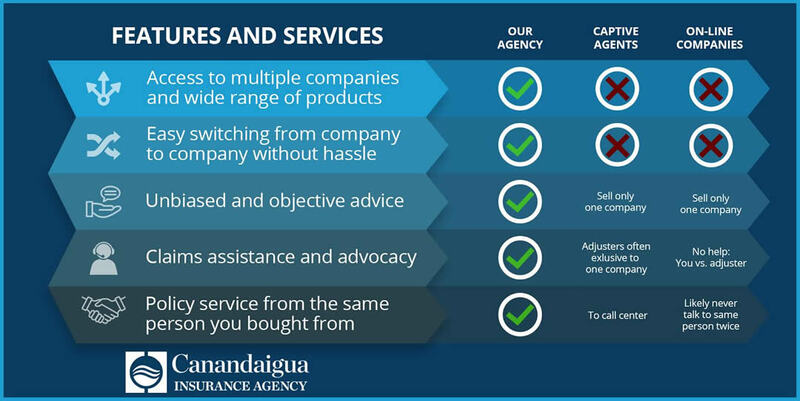 We are located in Canandaigua and Honeoye, NY, offering a variety of insurance services and products for your business and insurance needs throughout the Finger Lakes Region. We are a highly-motivated team dedicated to providing the best products & service available to our customers. We're committed to our clients, industry, employees and community.